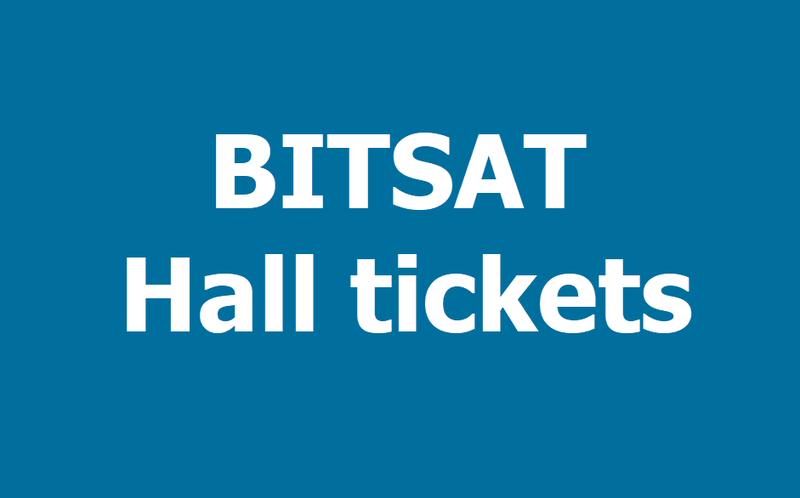 BITSAT hall tickets 2019, BITSAT Exam dates, Exam Pattern, Syllabus: BITSAT hall tickets 2019 are released:The hall ticket for BITSAT 2019 examination has been released. The candidates can download the BITSAT admit card through the official website, The Birla Institute of Technology and Science has released the admit cards for BITSAT (Birla Institute of Technology and Science Admission Test) 2019 on the official website on April 12, 2019. The candidates can download the admit card through the official website, bitsadmission.com. About BITSAT: The examination is conducted for admission to various engineering, B.Pharm courses at various institutes of BITS across the country.